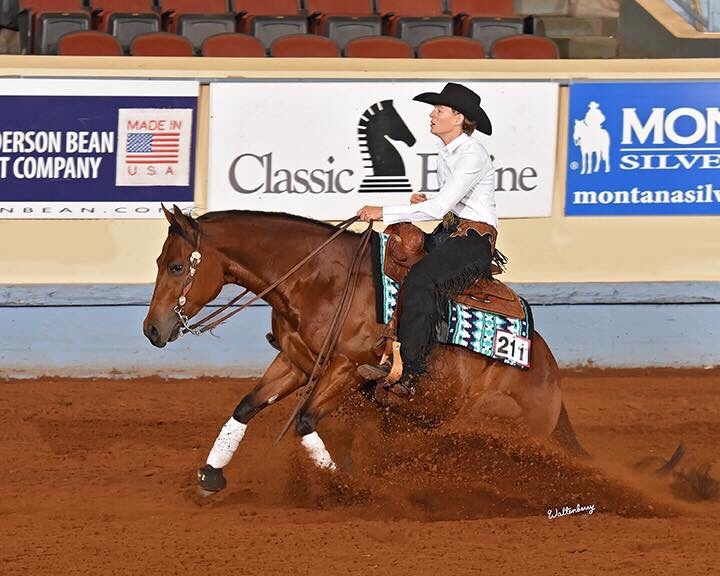 Michelle had a great run on Reyny Day Dreamer(AKA Francis)at the NRHA Futurity 2017. They scored a 215.5 first go and 214 in the second go…..Giving them a nice composite score of 429.5! They placed 6th in the level one finals! It was a great show!